Memories of the numerous Gold Mines, the Buildings and the People who made up the settlement East of Larder Lake in the 20's, 30's and 40's and the changes brought about by the completion of Highway 66 through the Kirkland Lake area in Northeastern Ontario. Said the young man, musing, shouldering his pack. "My fortune will be, a tar-paper shack. Robins are warbling, no finer a sound. Lagging and mucking, in the gut of the earth. Sweeter grows, with each telling." 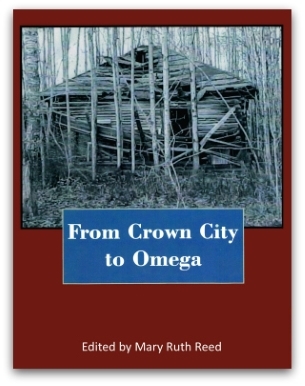 Mary Ruth Reed credits home-schooling in the early grades for her love of reading and her interest in poems, articles and novels. As well as teaching an appreciation of outdoor activities to their five children, (Jim, Ruth, Jean, Bob and Charles) her parents also encouraged them to use their imagination to create ideas, which has been a strong influence of her work. Since the early nineties Ruth has lived on the old family property at Larder Lake in Northern Ontario, Canada.